Andersons garage is equipped with the most sophisticated and up-to-date diagnostic equipment. This means that we have the power to diagnose any fault with any vehicle, both American and European. All our equipment and technical back up, including software is updated on a regular basis. This insures that we possess the knowledge and specific technical information to fix any problems you may have. With a qualified auto electrician as part of our team any electrical work can be carried out from repairs to installations. 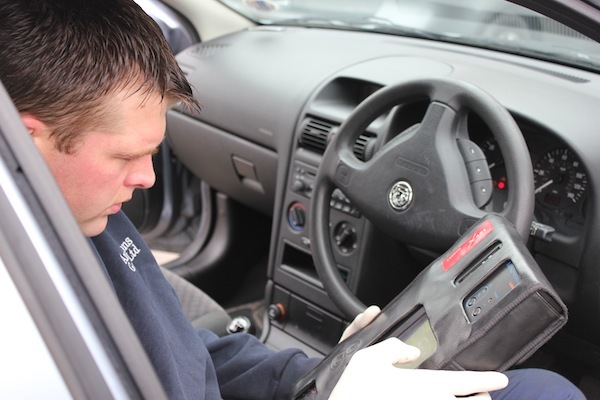 Our state of the art computerised diagnostic service will ensure that your car is fault free and runs smoothly. It instantly highlights and isolates issues with the Vehicle Engine Management system, fuel system and ignition system. A report by Avon Tyres showed that under-inflated tyres cost UK Motorists £1 Billion a year in higher fuel bills and reduced tyre life. How much money are you throwing away by not checking your tyre pressures regularaly? Saltash Moto Saltash Moto is the other half of our business, our factory trained mechanics are trained in all aspects of servicing Suzuki, Yamaha, Kawasaki, Triumph and other makes of motorcycles. Saltash Moto is a motorcycle MOT Testing station. Copyright Andersons Garage © 2012 All Rights Reserved. Designed by Visual Impact Designs.